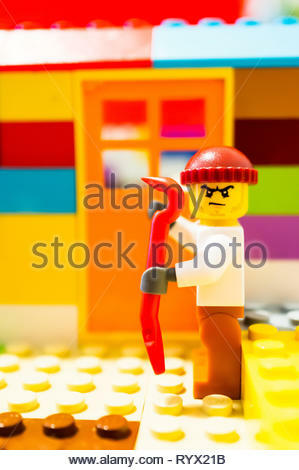 Poznan, Poland - March 14, 2019: Escaped Lego prisoner holding a crowbar planning to break into a house. 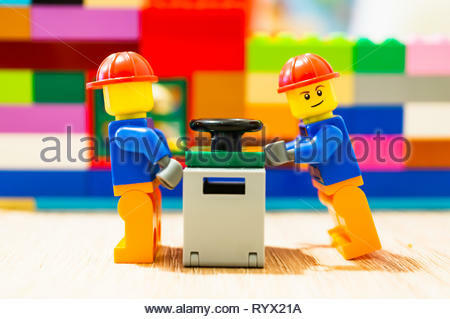 Poznan, Poland - March 14, 2019: Two Lego construction workers pushing together a safe. 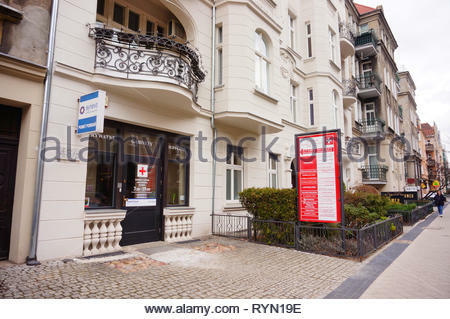 Poznan, Poland - March 8, 2019: Synevo medical office entrance in a apartment building on the Slowackiego street. 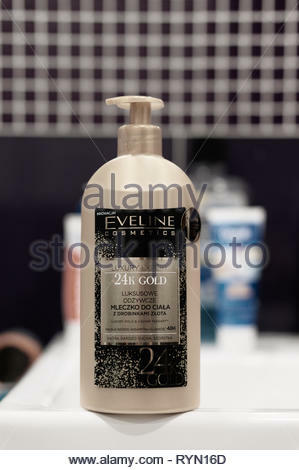 Poznan, Poland - March 8, 2019: Eveline Cosmetics 24K Gold body lotion in a plastic bottle. 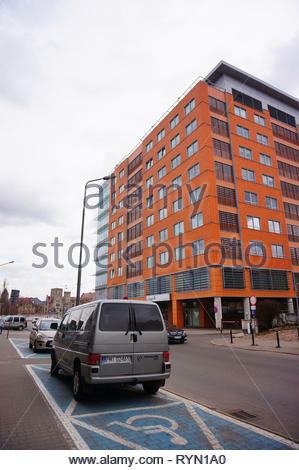 Poznan, Poland - October 31, 2018: Globis office building on the Roosevelta street in the city center. 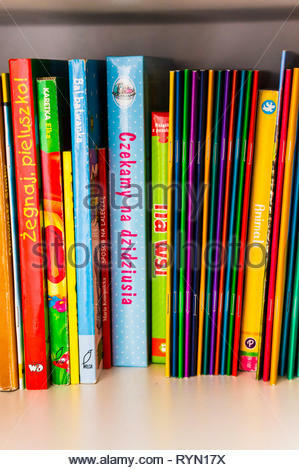 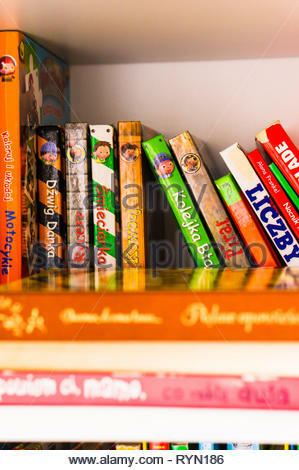 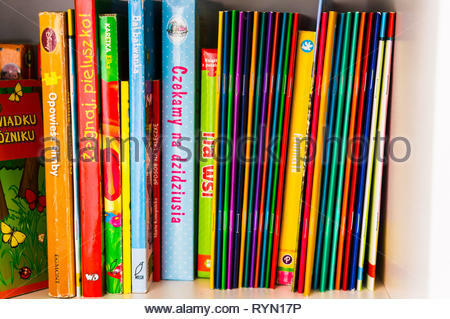 Poznan, Poland - November 18, 2018: Row of colorful child books in Polish on a shelf. 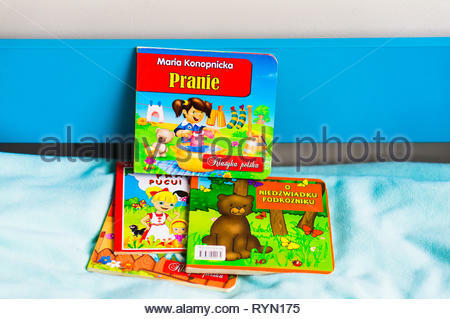 Poznan, Poland - November 18, 2018: Polish colorful book about laundry on a bed. 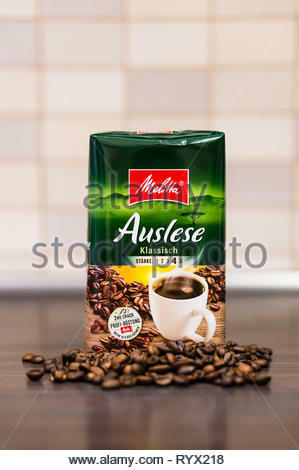 Poznan, Poland - March 12, 2019: German Melitta Auslese classic coffee in a green package and coffee beans on a wooden table in soft focus background. 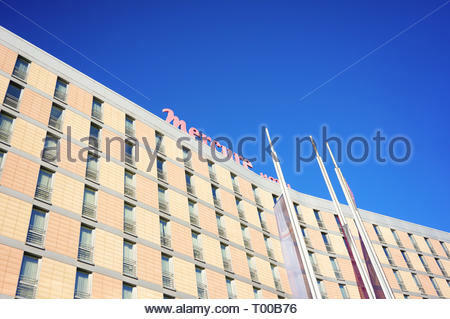 Poznan, Poland - October 31, 2018: Top of the Mercure Hotel building with flags in the foreground. 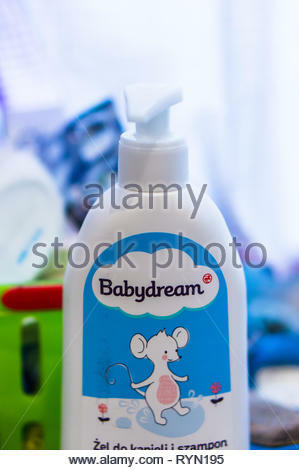 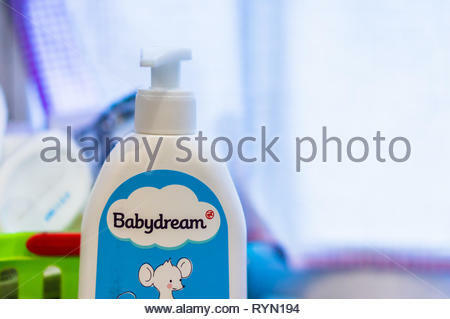 Poznan, Poland - November 18, 2018: Polish Babydream baby bath gel in a plastic bottle in a bathroom by a window. 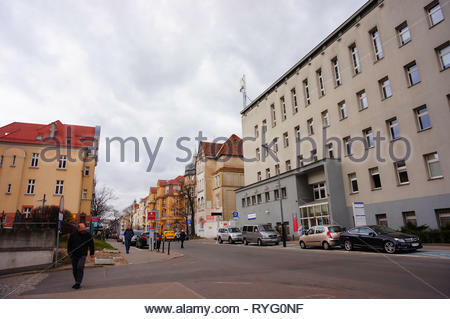 Poznan, Poland - March 8, 2019: Parked cars in front of a Luxmed medical office in the Globis building on the Slowackiego street in the city center. 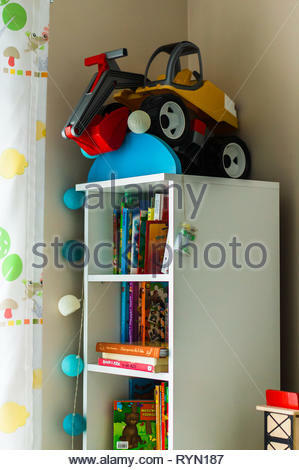 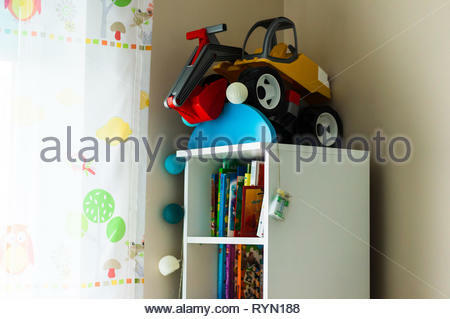 Poznan, Poland - November 18, 2018: White bookshelf with plastic toy excavator on the top in a child room. 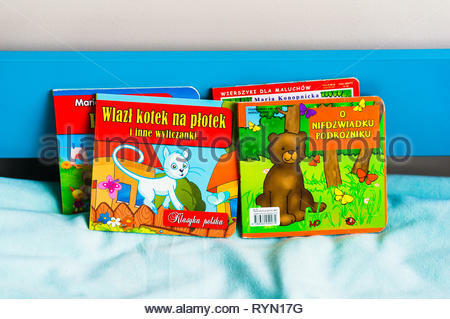 Poznan, Poland - November 18, 2018: Row of colorful Polish child books on a shelf. 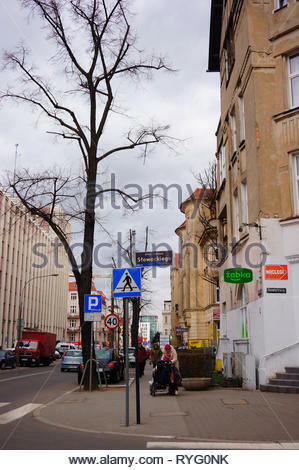 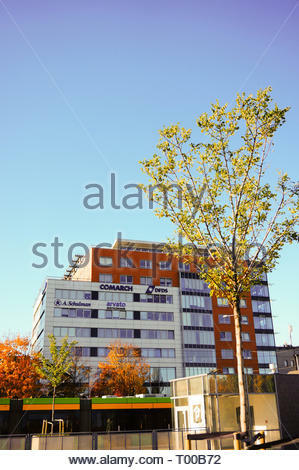 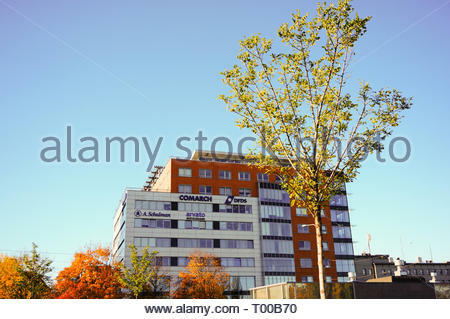 Poznan, Poland - October 31, 2018: High Mercure Hotel building with tree twigs in foreground. 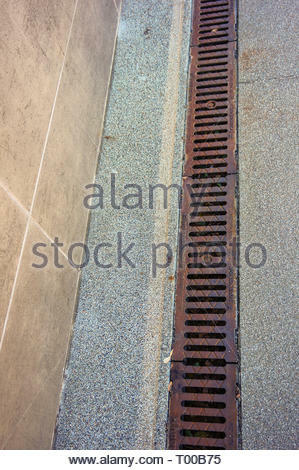 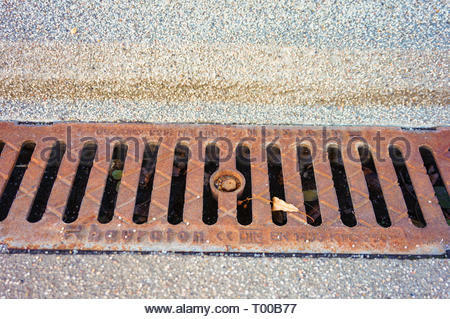 Poznan, Poland - October 31, 2018: Metal rain drain by a sidewalk in the city. 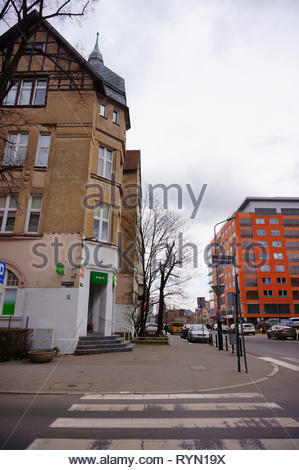 Poznan, Poland - March 8, 2019: Zebra crossing leading to a small Zabka grocery store in a old building on the Slowackiego street. 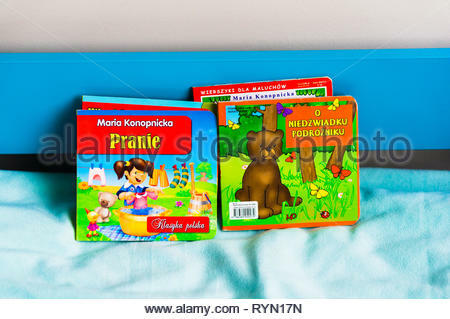 Poznan, Poland - November 18, 2018: Colorful Polish books on a blue bed with soft sheet. 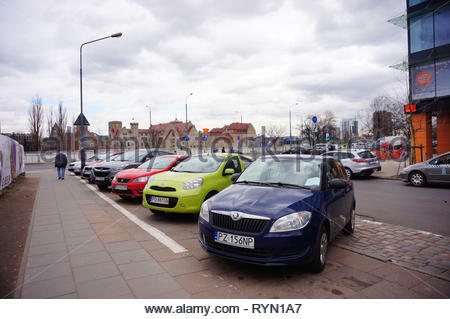 Poznan, Poland - March 8, 2019: Row of parked cars on parking spots on the Slowackiego street in the city center. 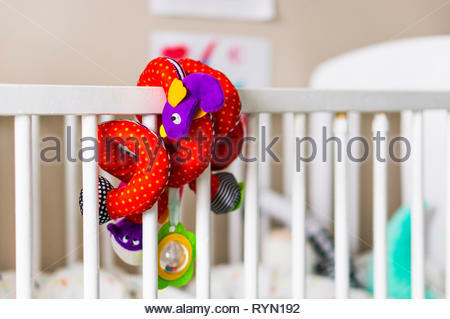 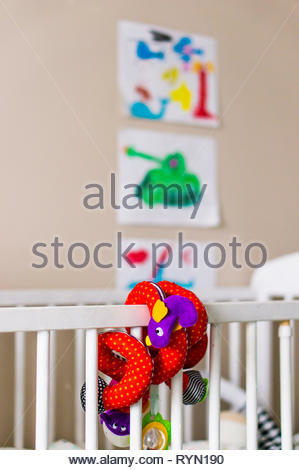 Poznan, Poland - November 18, 2018: Colorful toy snake attached on a wooden baby bed in a child room. 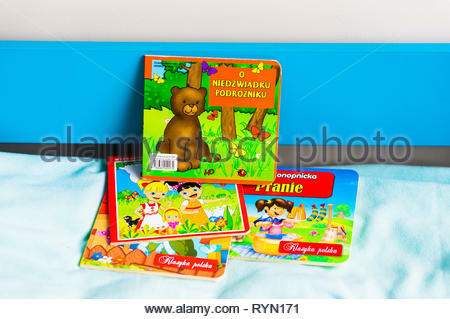 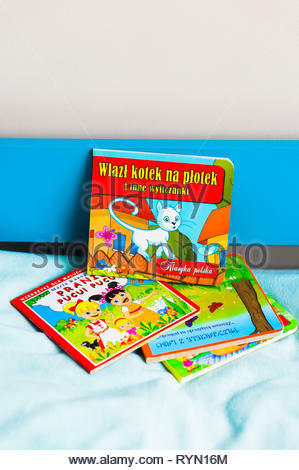 Poznan, Poland - November 18, 2018: Colorful Polish child book about a bear on a bed. 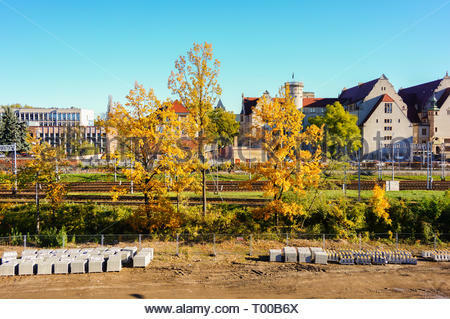 Poznan, Poland - October 31, 2018: Trees and construction area with university building in the background. 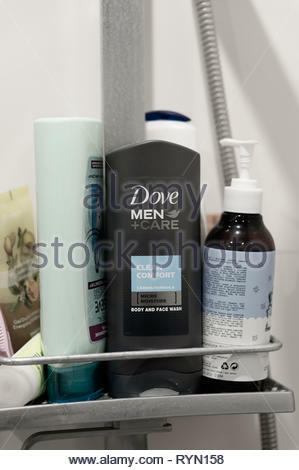 Poznan, Poland - March 8, 2019: Dove Men Care Clean Comfort shower gel in a plastic bottle in a bathroom. 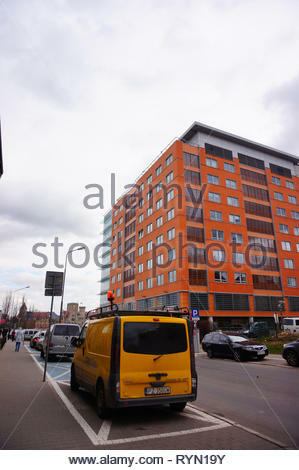 Poznan, Poland - March 8, 2019: Yellow technical service bus wrongly parked close by the Globis office building in the city center. 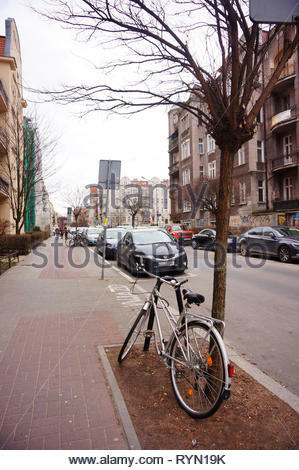 Poznan, Poland - March 8, 2019: Bicycle locked on a metal barrier next to tree on a sidewalk in the Slowackiego street in the city center. 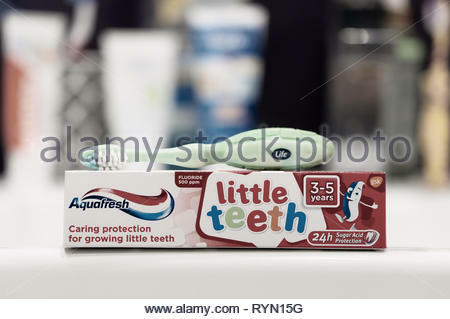 Poznan, Poland - March 8, 2019: Aquafresh little teeth toothpaste in a box and toothbrush in soft focus background. 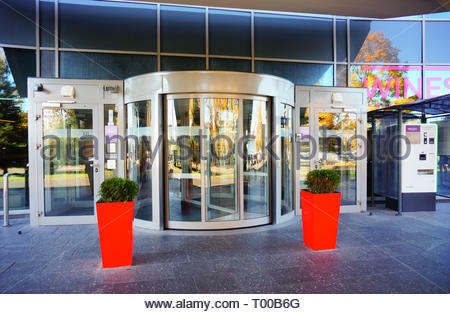 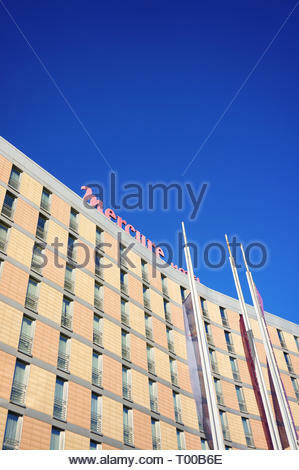 Poznan, Poland - October 31, 2018: Front entrance to the Mercure Hotel building. 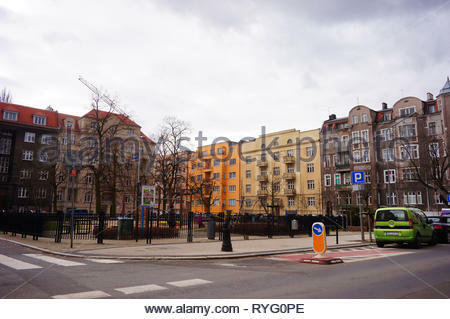 Poznan, Poland - October 31, 2018: Mercure Hotel building and the Kaponiera tram stop in the city center. 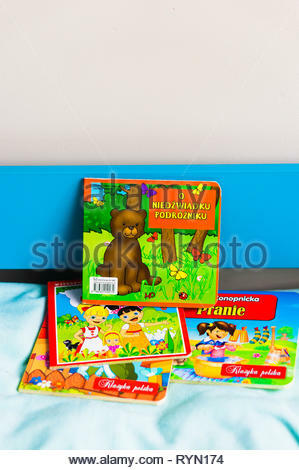 Poznan, Poland - November 18, 2018: Colorful child book about laundry on a blue bed. 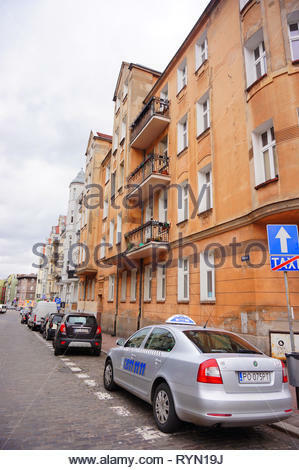 Poznan, Poland - March 8, 2019: Parked Skoda taxi car on special parking places on the Prusa street. 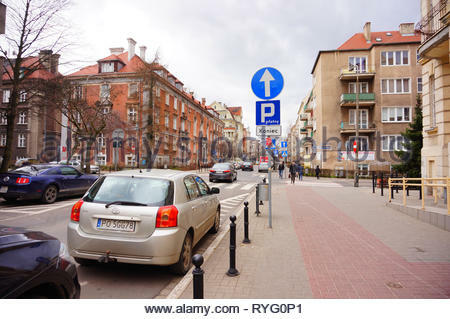 Poznan, Poland - March 8, 2019: Row of parked cars including Citroen on the Slowackiego street in the city center. 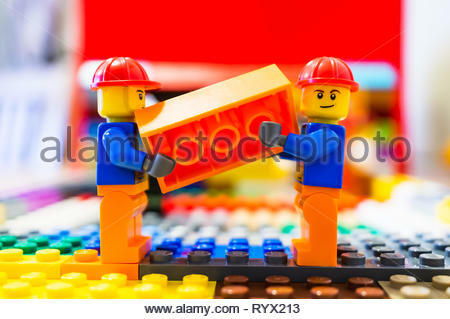 Poznan, Poland - March 14, 2019: Two Lego construction workers carrying together a orange brick. 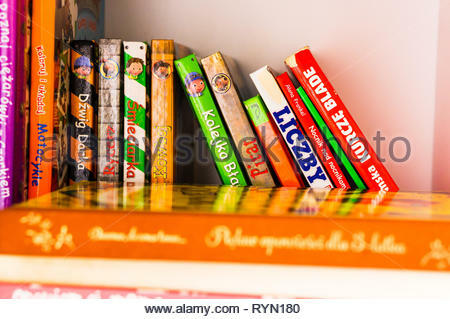 Poznan, Poland - November 18, 2018: Variation of child card and board games on white book shelves in a child room. 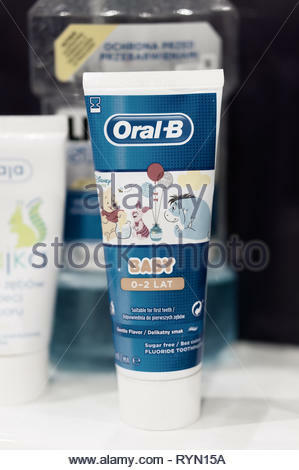 Poznan, Poland - March 8, 2019: Oral-B toothpaste for kids in a tube on a sink in soft focus. 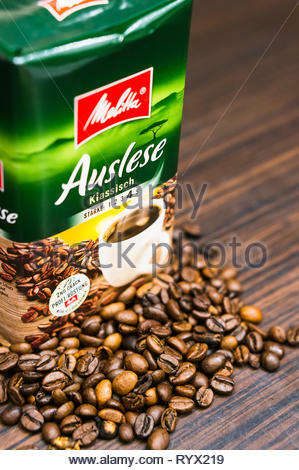 Poznan, Poland - March 12, 2019: Melitta Auslese coffee in a package and fresh roasted beans on a wooden surface in soft focus. 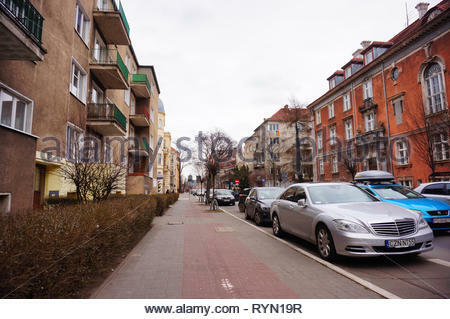 Poznan, Poland - March 8, 2019: Parked Mercedes Benz car by a sidewalk on the Slowackiego street. 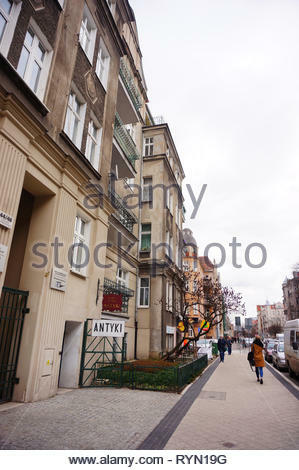 Poznan, Poland - March 8, 2019: People passing a antique shop on the Slowackiego street. 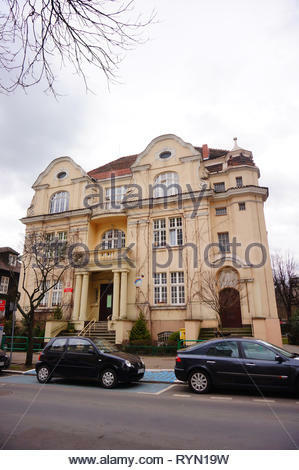 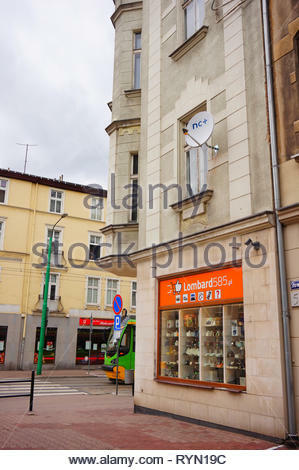 Poznan, Poland - March 8, 2019: Lombard585 pawnshop in a old building on the Slowackiego street in the city center. 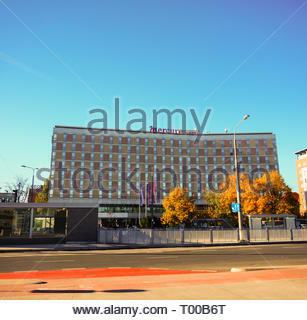 Poznan, Poland - October 31, 2018: Mercure Hotel building from low perspective in the city center. 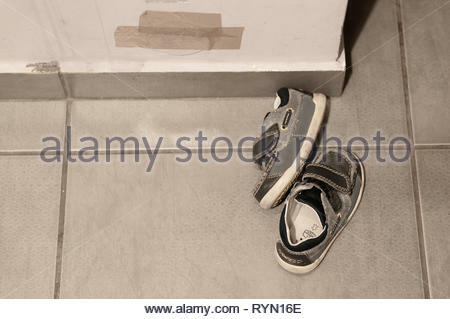 Poznan, Poland - March 8, 2019: Pair of small leather child shoes laying on a tile floor next to a wall. 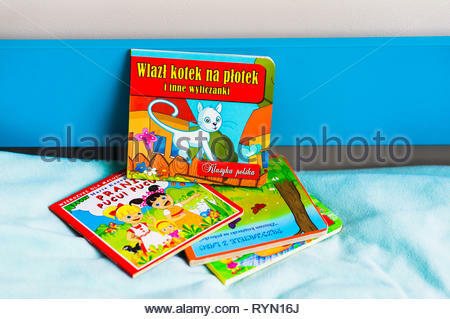 Poznan, Poland - November 18, 2018: Colorful child book about cat on a blue bed. 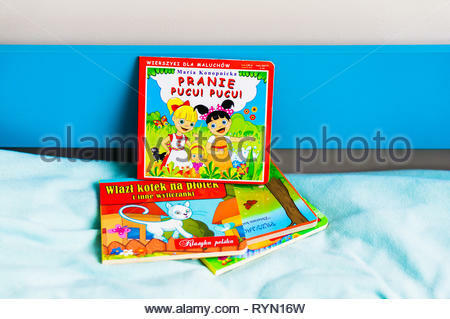 Poznan, Poland - March 8, 2019: Close up of cotton pads in a plastic bag in soft focus. 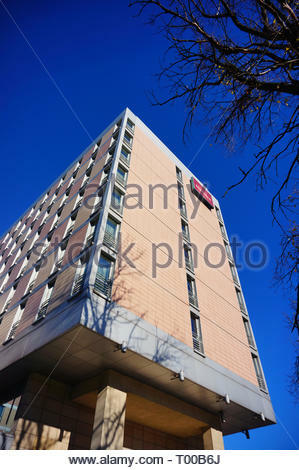 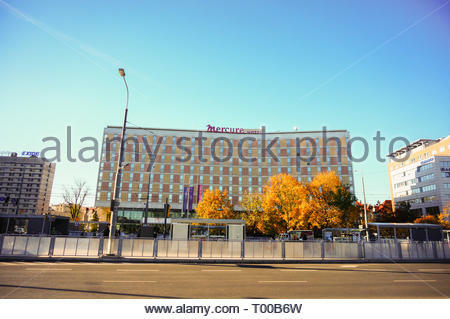 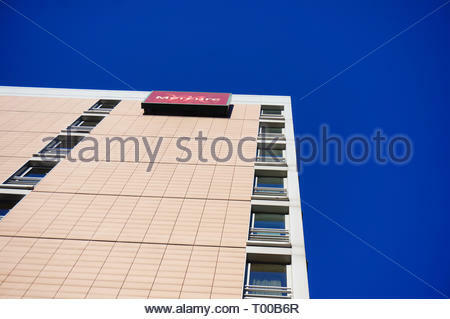 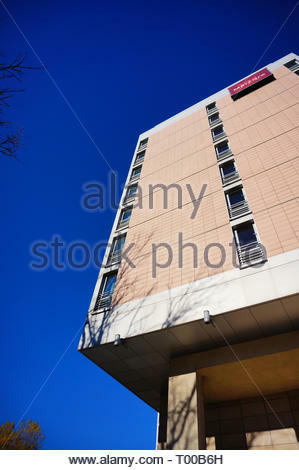 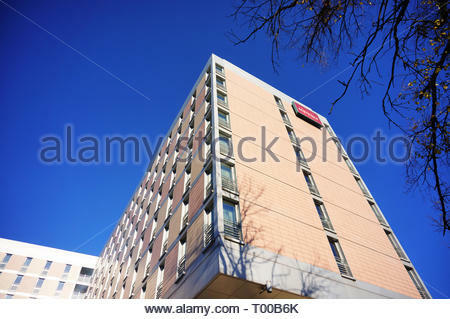 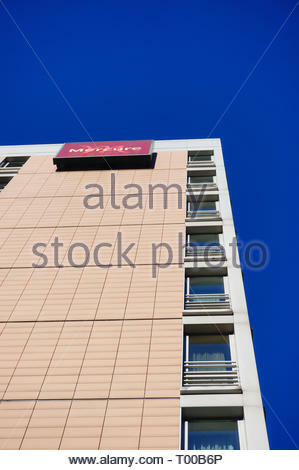 Poznan, Poland - October 31, 2018: High Mercure Hotel building in the city center. 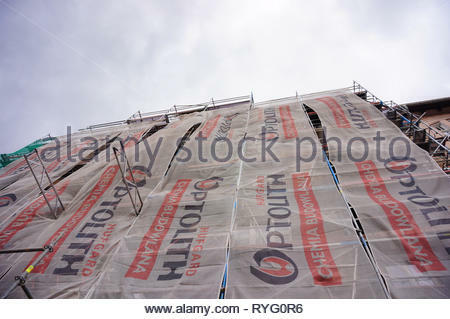 Poznan, Poland - March 8, 2019: Building under construction by a sidewalk on the Slowackiego street in the city center on a cloudy day. 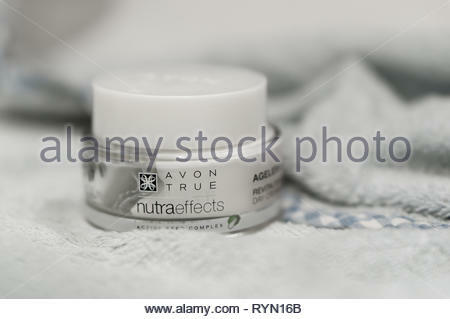 Poznan, Poland - March 8, 2019: Avon True nutraeffects aging cream in a container on a soft towel. 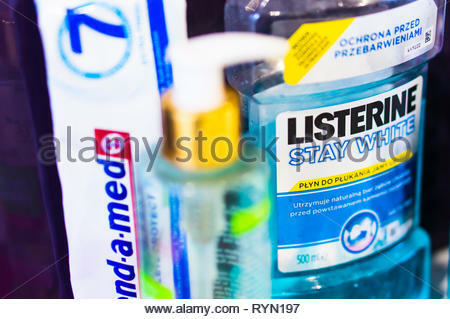 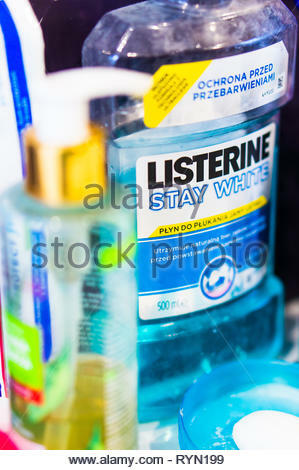 Poznan, Poland - November 18, 2018: Listerine Stay White blue mouth wash in a plastic bottle in a bathroom in soft focus. 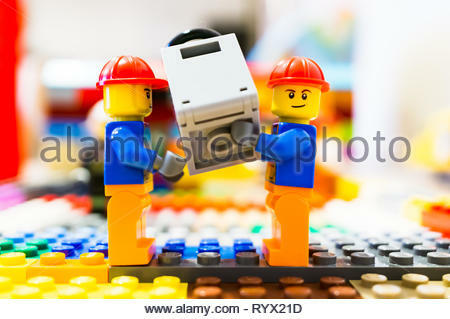 Poznan, Poland - March 14, 2019: Two Lego construction workers carry together a safe. 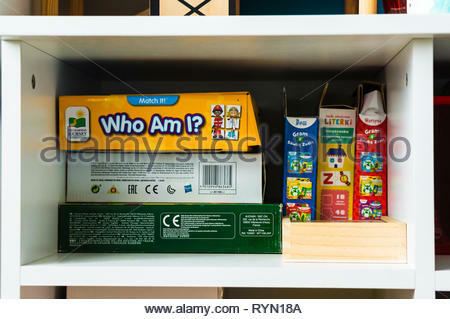 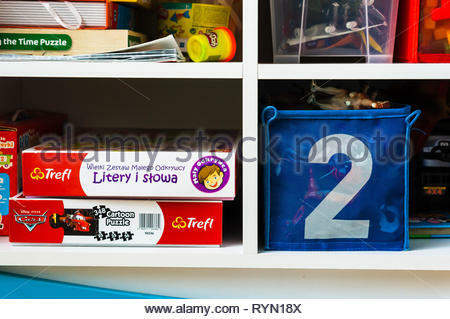 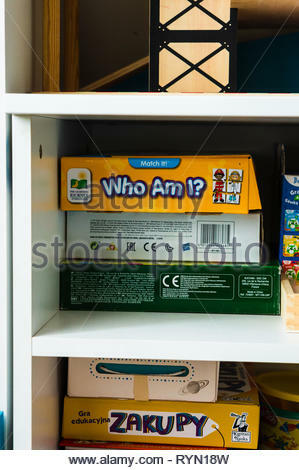 Poznan, Poland - November 18, 2018: Board games and toys laying on book shelves in a toy room. 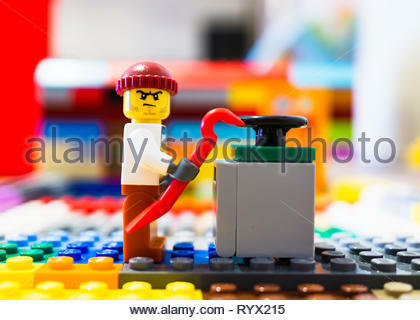 Poznan, Poland - March 14, 2019: Lego thief trying to open a safe with a crowbar. 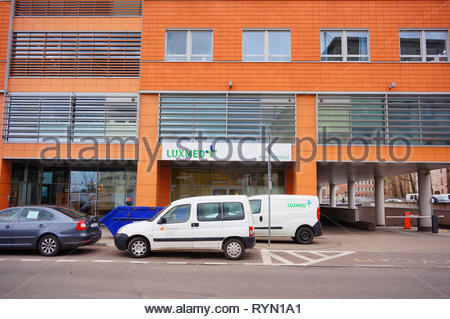 Poznan, Poland - March 8, 2019: Parked Volkswagen Transporter on a disability parking near the Globis office building. 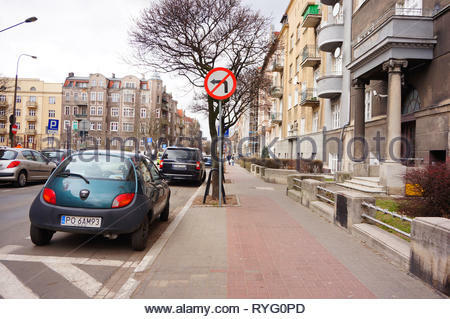 Poznan, Poland - March 8, 2019: Parked Opel Astra by a sidewalk on the Slowackiego street. 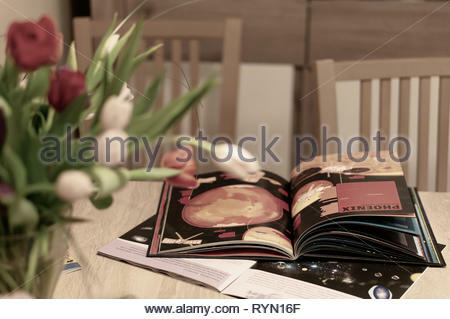 Poznan, Poland - March 8, 2019: Open book about galaxy and planets laying on a table with tulip flowers in soft focus foreground. 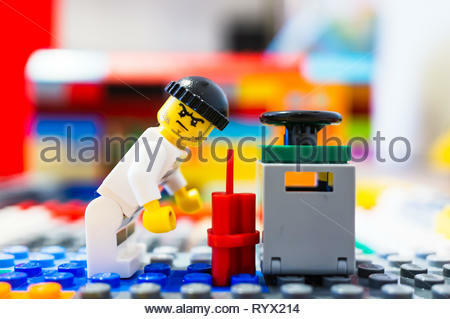 Poznan, Poland - March 14, 2019: Lego escaped prisoner tries to blow up a safe with dynamite. 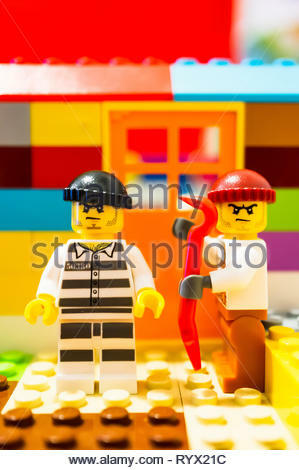 Poznan, Poland - March 14, 2019: Two Lego escaped prisoners trying to break in a house with a crowbar. 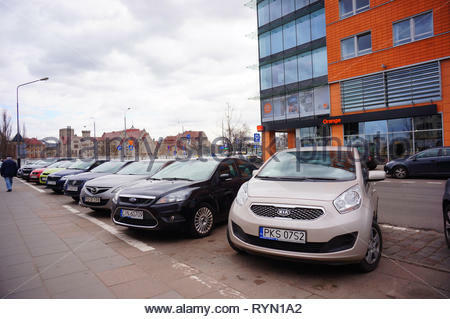 Poznan, Poland - March 8, 2019: Parked cars in frond of a kindergarten building on the Slowackiego street in the city center. 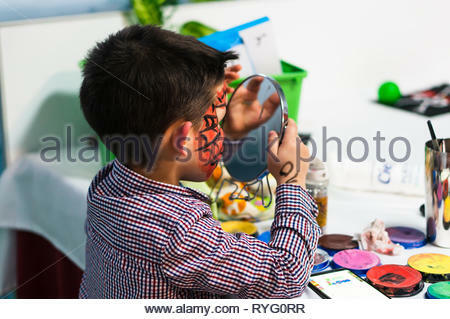 Poznan, Poland - March 2, 2019: Young boy watching his red painted face in a mirror during a birthday celebration party. 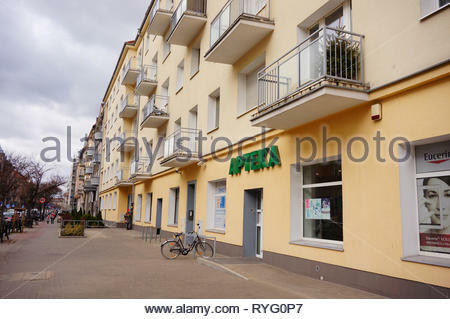 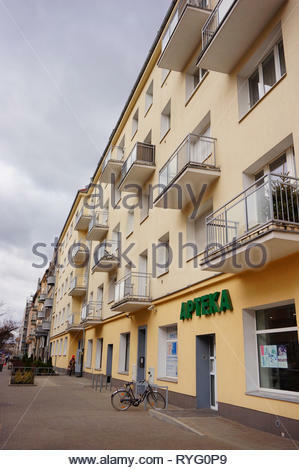 Poznan, Poland - March 8, 2019: Pharmacy store with parked bicycle in a apartment building by a sidewalk on the Slowackiego street. 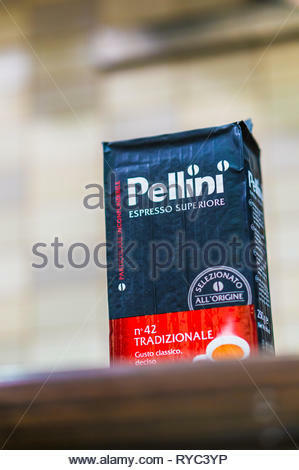 Poznan, Poland - March 9, 2019: Italian Pellini grounded espresso coffee in a package on a table. 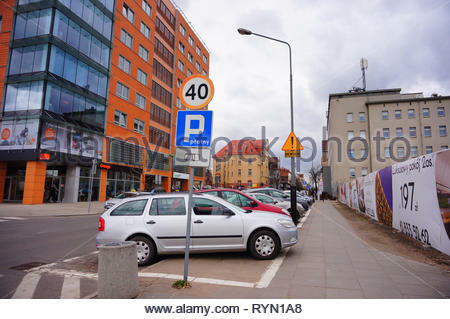 Poznan, Poland - March 8, 2019: Small Ford Ka parked on a parking spot in the city center. 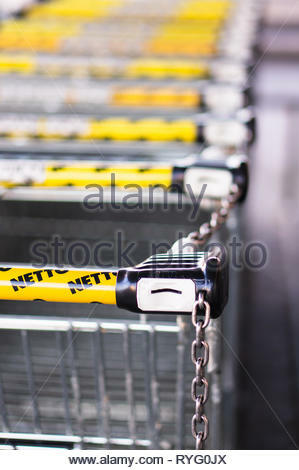 Poznan, Poland - February 24, 2019: Close up of Netto supermarket shopping carts. 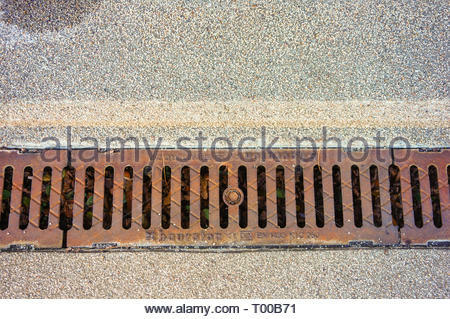 Locked with chains and can be unlocked by a coin. 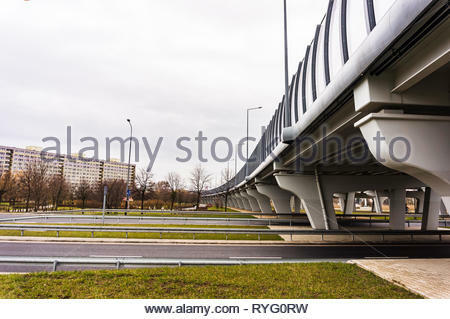 Poznan, Poland - March 3, 2019: Road and bridge on the Inflancka street. 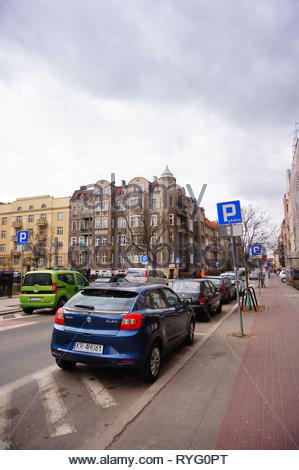 Poznan, Poland - March 8, 2019: Parked new blue Suzuki Baleno car on a non parking area on the Slowackiego street in the city center. 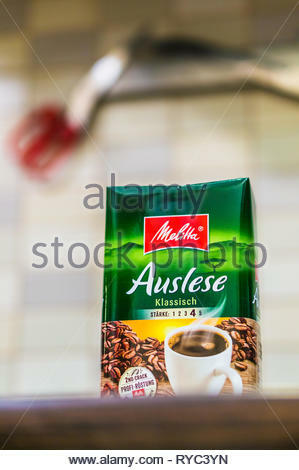 Poznan, Poland - March 9, 2019: German Melitta Auslese coffee in a package on a wooden table. 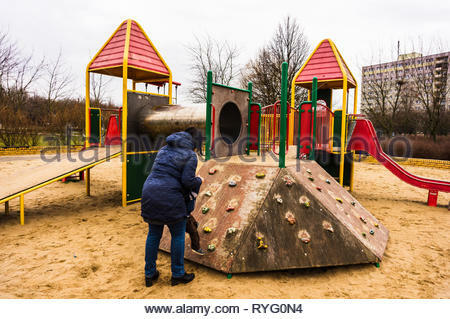 Poznan, Poland - March 3, 2019: Woman helping toddler boy on a wooden climb wall at a playground. 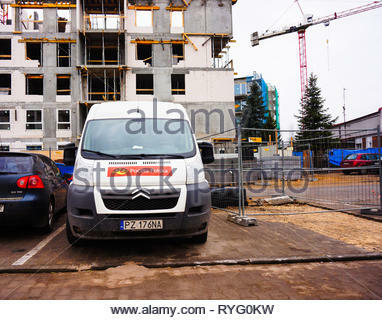 Poznan, Poland - March 3, 2019: Poczta Polksa Citroen delivery van parked on a parking spot in front of a apartment building under construction. 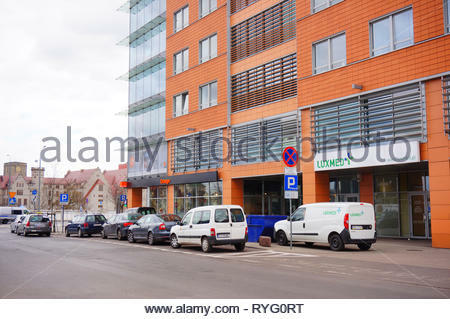 Poznan, Poland - March 8, 2019: People and a small Zabka grocery store in the Slowackiego street. 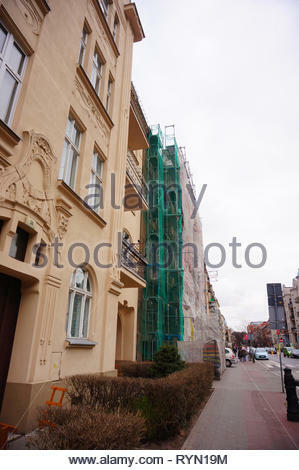 Poznan, Poland - March 8, 2019: Building under renovation by the Ptolith construction company. 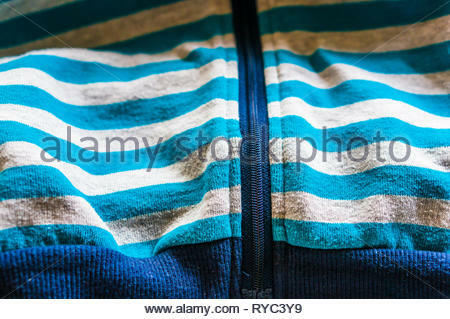 Blue and gray striped sweater close up with zipper. 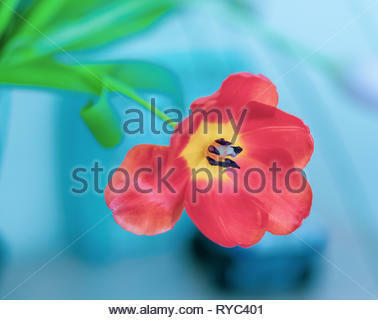 Close up of a open red tulip flower in soft focus background. 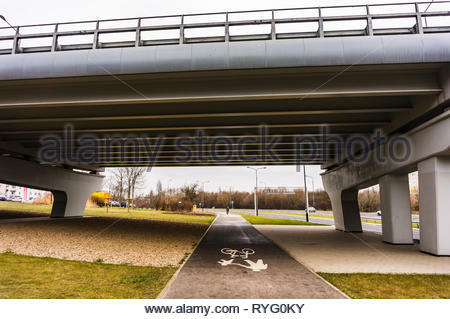 Poznan, Poland - March 3, 2019: Footpath and bike route under a bridge on the Inflancka street. 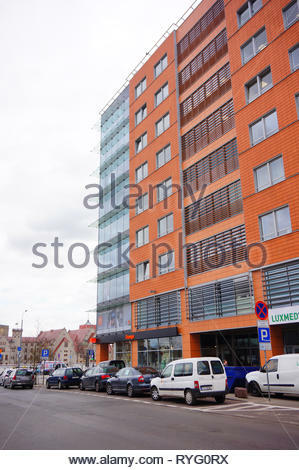 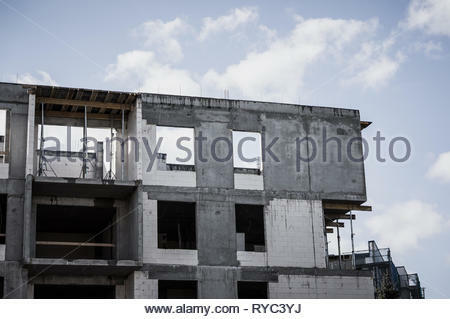 Poznan, Poland - March 9, 2019: New apartment building under construction on the Stare Zegrze district. 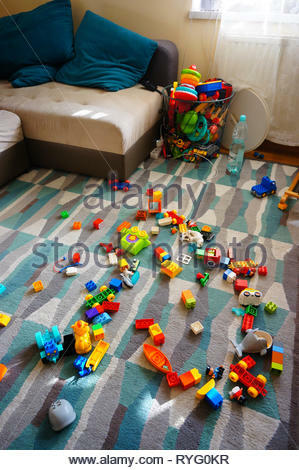 Poznan, Poland - March 2, 2019: Messy living room with Lego Duplo blocks laying around on a carpet floor. 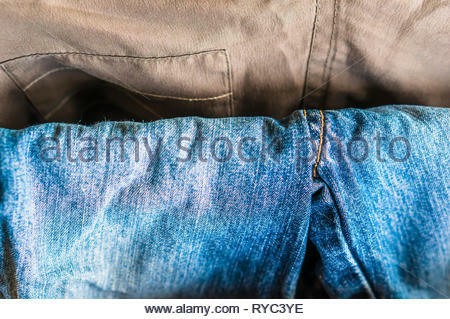 Close up of a hanging blue jeans pants. 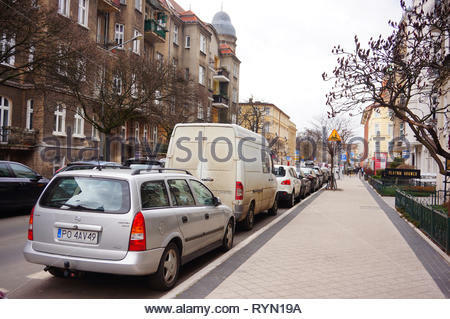 Poznan, Poland - March 8, 2019: People and parked cars on the Slowackiego street in the city center. 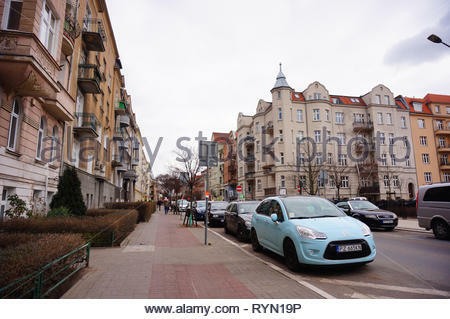 Poznan, Poland - March 8, 2019: Playground and apartment buildings by the Slowackiego street in the city center. 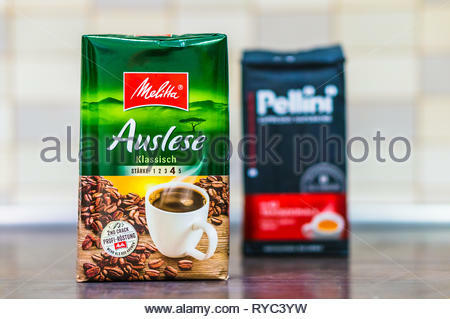 Poznan, Poland - March 9, 2019: German Melitta Auslese coffee in a 250 gram package on a wooden table.